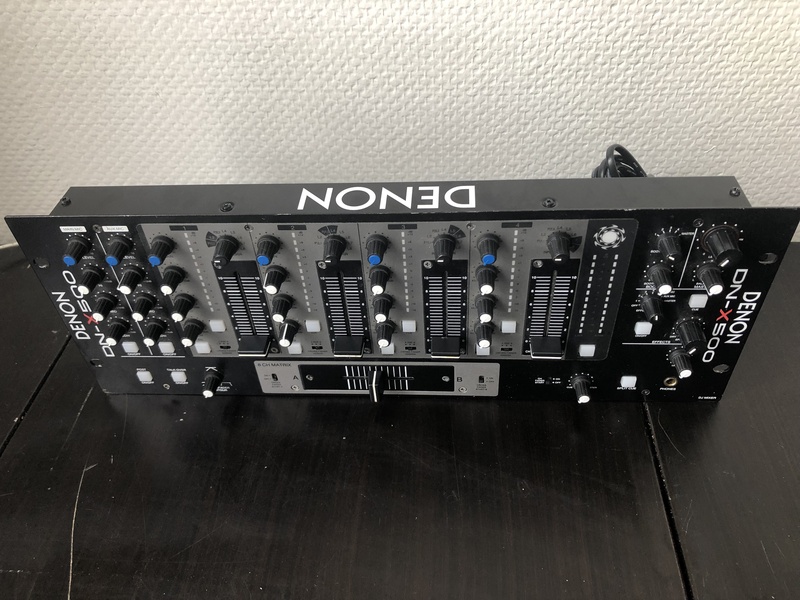 DN-X500, 4+ Channel Mixer from Denon DJ. deedstacktyk's review (This content has been automatically translated from French)" strength"
At the time, I had a shallow but large desk so the format of the table associated with its features was the wiser. Over time, the channels are assignable a real plus, it can leave a lot of trendy without sorting, handy devices. 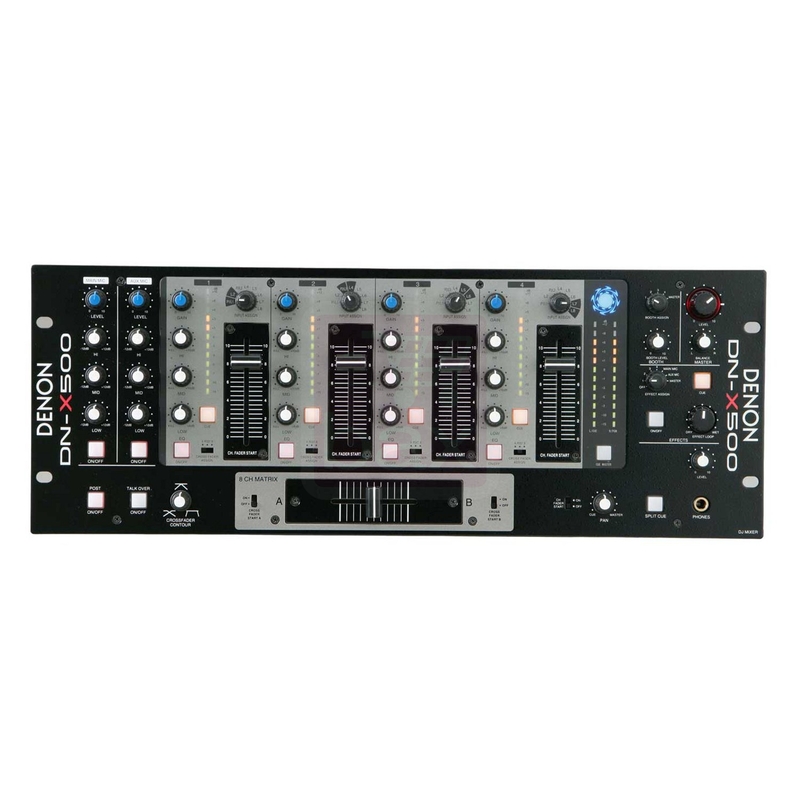 Before I had a Stageline MPX-300 USB with an equalizer not very effective when there on that Denon, filters are much more powerful. A halfway Master volume, breath enter becomes clearly visible. As I molded speakers "1st prize" difficult to determine the breath induced by this table but we lent me a Solton 12 "500w and lack of breath proved. Note also, the connections placed so well thought out of step with the top of the console. This allows any "paste" the console to another device or to the edge of the rack. Good level of balanced outputs. Two microphone inputs (just ok). I use it in a compact flycase with a double CD and an effect rack. Inputs outputs plotted on top of the rack. Pleasant in use, it lends itself to countless situations. The cross is not bad as well as faders, friendly controls. The table is very compact so you pourait blamed the proximity of the main fader for each channel and proofreaders. It is sometimes annoying and takes some concentration. The buttons are small and not necessarily in a good position for my liking. The use of microphones is somewhat limited by the quality of corrections and the inability to assign the effects on both pickups at once. Its level, without a top is a good level. I have two years and I use it especially when there is an obstruction (it 's really compact) and in the evenings that combine many different activities. I paid 280 Euros mine used but the price is affordable for nine in the level of service .. It is easily repaired is designed with simplicity and intelligence except the buttons "cue" that become hard or inoppérents and the headphone output is missing some reserve following the headphones used. I love its versatility, the rack. In some places, I have no choice. 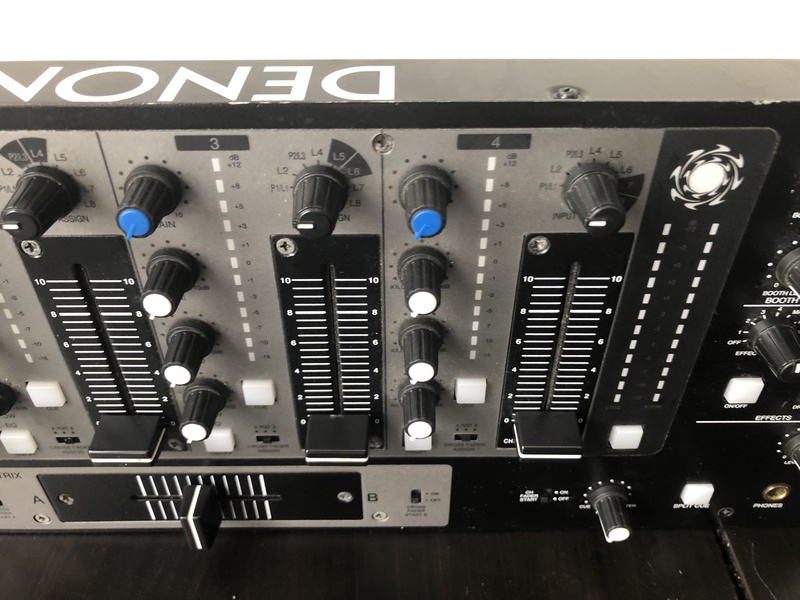 I like the precision of the gauges, the matrix inputs, the length and quality of the faders, so the number of entries (8 + 2mic), use with an external effect in 19-inch rack. 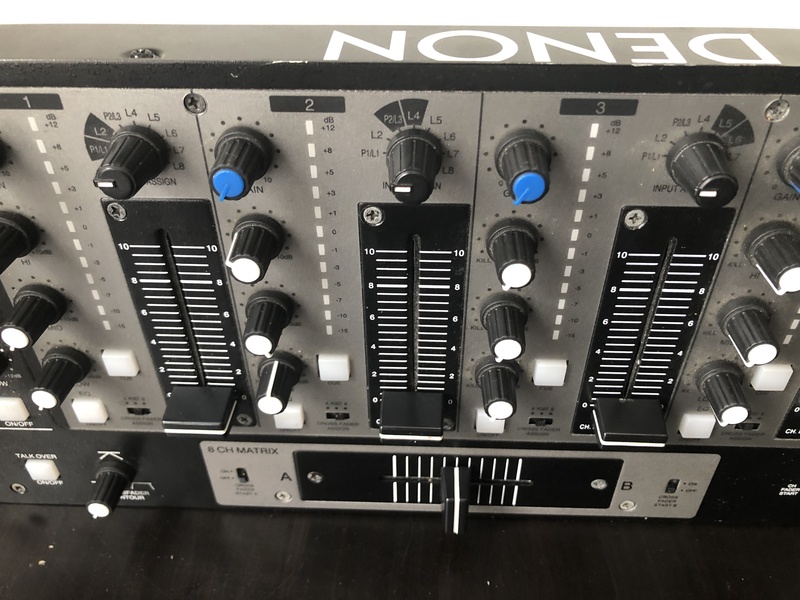 The quality of its correct that connects directly nimporte any sound system. I like less reliable too just some buttons and appearance "compact ergonomics". The quality of the microphone section (see above) is inadequate, it's the big flaw of the console. This is often as my backup console or supplementary (second bathroom, piped music, cocktails, karaoke ...), the flycase often follows me. I see only one A & H S2 for the same use but this is nearly twice as expensive and it also has its drawbacks. 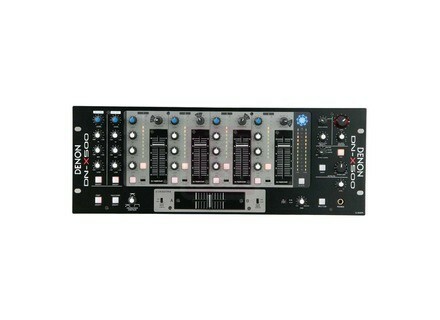 I have tried other brands in the same format (Gemini, Stanton, Numark) but the sound quality was far below. 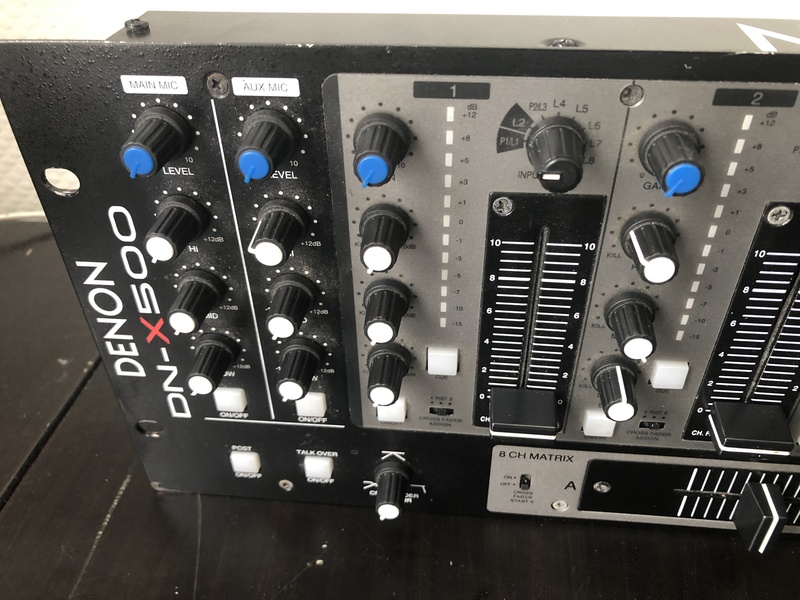 Since it is THE FIRST mixer j'achte that it took me a little time to learn about all the possibilities of the DX500, but the manual is clear and connections ACCS easy (except may be the on / off button is on the right derrire). Orders are prcises and you can feel the quality of manufacturing at the potentiomtres and faders. Excellent, the sound of vinyl is the best use (same for the CD). Whatever the medium, the breath is weak and is not trs teachers (must sound almost back to the Collection), whether output or headphone amplifier. I use it for one month and I am fully satisfied. The price is lev other brands, but the excellent quality is the price. I have no other points of comparison since it is my Premire mixer. a platinum CD (or other). Idem, the display of view on each channel is trs apprciable for working on the same noise level. CUE function (cost 2-way sound diffrent the headphone, a track on each ear) is trs effective, even if it takes a little time for matriser.